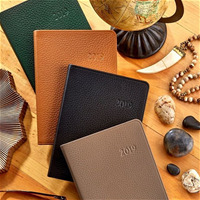 Graphic Image is a designer, manufacturer, and leading seller of fine leather goods and accessories. 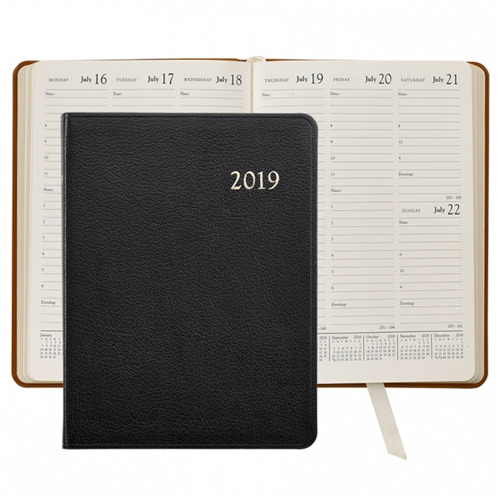 Headquartered in Melville, NY, their corporate and production teams work closely to develop high quality, luxurious leather datebooks, journals and various personal accessories. 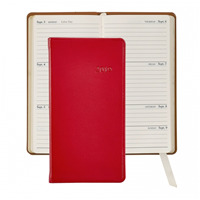 This popular diary is ideal for home or office. 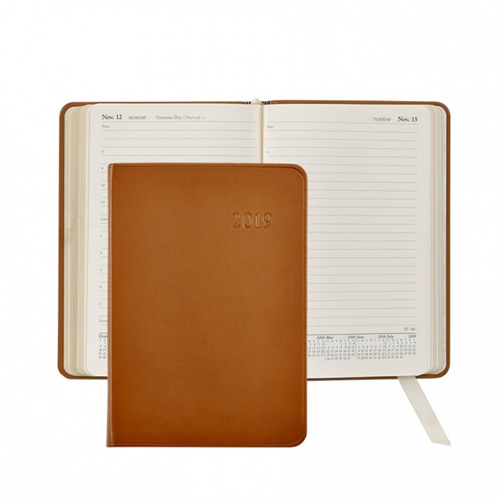 Our week-at-a-view desk diary has a vertical format designed with such economy that our trim size offers more writing space than most larger, more cumbersome diaries. 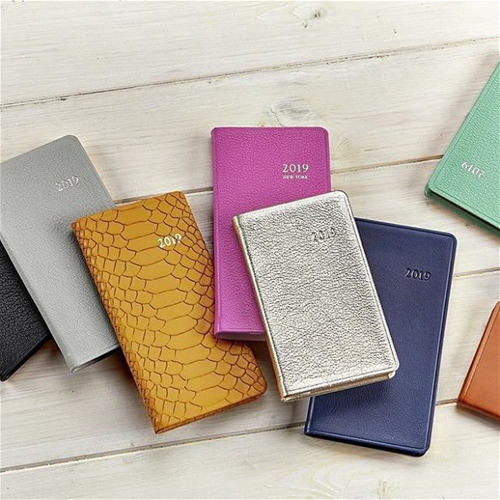 This is a pure appointment book designed to organize your day, week, month and year. 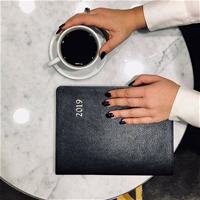 By P.L. 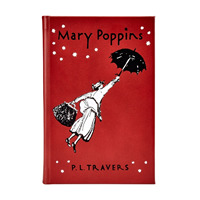 Travers, the author featured in the major motion picture, Saving Mr. Banks. From the moment Mary Poppins arrives at Number Seventeen Cherry-Tree Lane, everyday life at the Banks house is forever changed. It all starts when Mary Poppins is blown by the east wind onto the doorstep of the Banks house. She becomes a most unusual nanny to Jane, Michael, and the twins. Who else but Mary Poppins can slide up banisters, pull an entire armchair out of an empty carpetbag, and make a dose of medicine taste like delicious lime-juice cordial? A day with Mary Poppins is a day of magic and make-believe come to life . Size: 5.1" x 1" x 7.6"